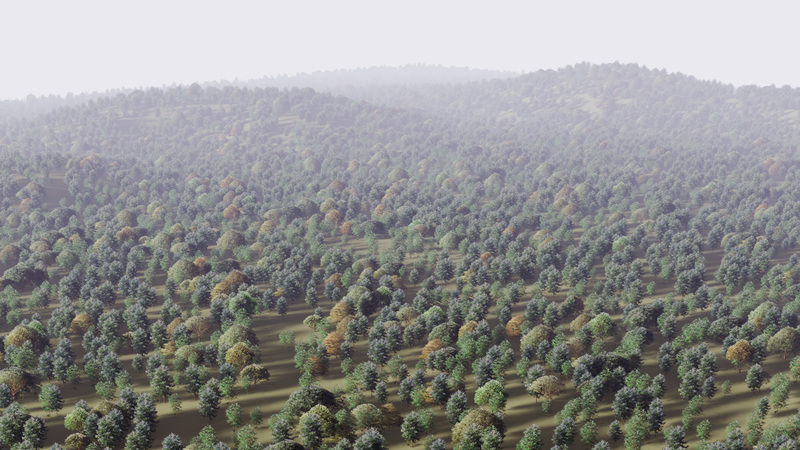 Zacharias Reinhardt has published a two-part tutorial on setting up a large scale forest in Blender, that is memory friendly and can be rendered using GPU in most cases. The first part will guide you through generating and rendering a 3D tree and using the rendered image as texture for an alpha mapped tree. Then, you will also add several effects to this alpha tree, so that it is interacting with the light. The second part is about faking a better ground shadow for the tree and setting up a particle system to create the forest. To create a simple, memory friendly tree, we are mapping a rendered image of a 3d tree, with a transparent background (alpha map), onto a simple plane (it has only one face). This technique is also known as “billboards“ and it is used for years mainly in games to reduce the poly count for faster real-time display. Unfortunately these trees are looking flat and boring. 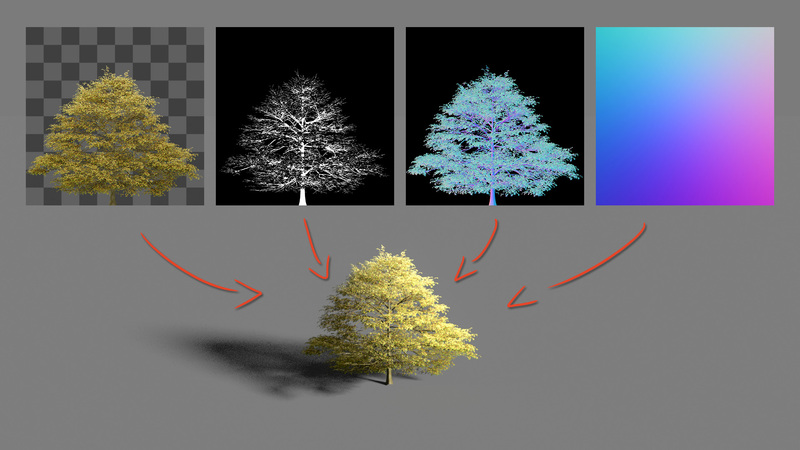 With the method showed in this tutorial, these trees will look like real 3d trees (at least from far away) because they are interacting with the sunlight. For achieving this effect, we will use a 3d tree as foundation, render an image with a transparent background from it and generate two normal maps, which will create the 3d look. After setting up the tree, it’s pretty easy to set up a particle system to quickly generate a large scale forest. Below you can see two examples, the first one will be created in this tutorial. For in-depth information watch the video tutorial and download the project files (scroll up). Make sure to check out artist’s website with other tutorials and different projects.